"As long as Liam lives, he's a threat to my son's marriage," Quinn says. 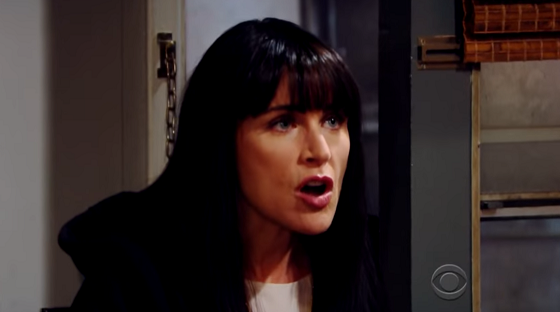 Check out the day-to-day spoilers and a sneak peek video below to find out what's happening on CBS soap opera The Bold and the Beautiful during the week of June 6-10, 2016. Steffy lets loose her anger and resentment towards Quinn; Caroline bows under the weight of her secrets. Liam tells Steffy he won't give up on her; Brooke and Bill confront him for the truth about Douglas' paternity. Ridge offers to make a sacrifice to protect his family; Steffy makes a confession to Wyatt about their marriage. Katie struggles with her marriage and her dependency on alcohol; Bill admits something to Brooke; an intruder wakes Liam. Wyatt learns something shocking about a person in his life; Katie makes a bold move to save her marriage.